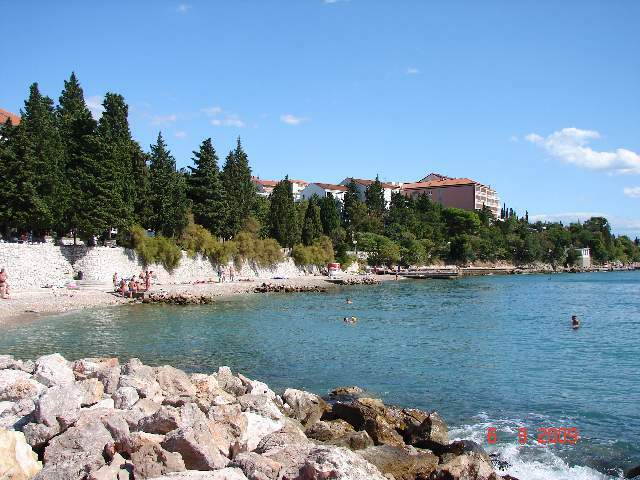 Dramalj is a tourist place near Crikvenica, extending from the Black mole (part of Crikvenica) to the tourist resort Kačjak The town has about 1400 inhabitants, mostly engaged in tourism and hospitality industry. More photos at Photo Albums page. Dramalj je turističko mjesto u neposrednoj blizini Crikvenice koje se proteže od Crnog mola (predio grada Crikvenice) do turističkog naselja Kačjak. Mjesto broji oko 1400 stanovnika, uglavnom zaposlenih u turizmu i ugostiteljstvu. Više fotografija na Photo Albums stranici. Vir is an island on the Croatian coast of Adriatic sea located north of Zadar. Vir has a very good connectivity to the mainland via a road bridge. About 2000 inhabitants live at the island. During the summer, a number of inhabitants raise to 20000. Vir Island has sandy and pebbly beaches that are perfect for families with pine forests up to the edge. There are also many bays and inlets with piers. Vir has a bridge to the mainland built in 1976 and it is the 20th largest island in the Adriatic. Vir Island is also commonly known as the ‘island of contrasts’ because of the number of resort houses, and tourists staying here. – National Park Brijuni – Croatia, 2009. National Park Brijuni – Croatia, more photos at Photo Albums page.